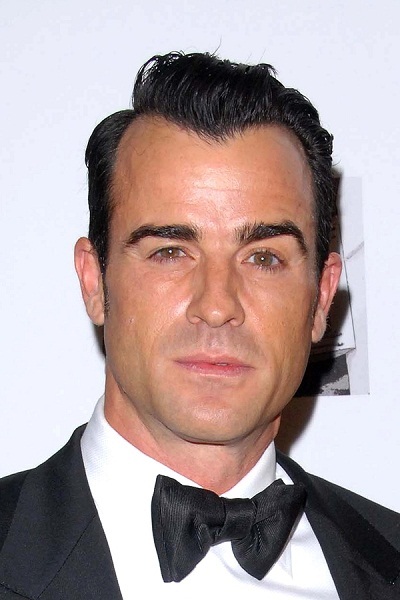 Justin Theroux is an American actor, film producer, comedian, and screenwriter. Justin is the son of Phyllis Theroux, an essayist and author, and Eugene Albert Theroux, a lawyer. His uncles are travel writer and novelist Paul Theroux, novelist and poet Alexander Theroux, author Peter Theroux, and novelist and educator Joseph Theroux. His cousins are journalists and documentary filmmakers Louis Theroux and Marcel Theroux. Justin is married to actress Jennifer Aniston. Justin’s father is of half French-Canadian and half Italian descent. Justin’s mother is of mostly English ancestry; Justin is also of 1/32 German, 1/128th Spanish, and remote Dutch, descent, through his mother. Justin’s paternal grandfather was Albert-Eugene Theroux (the son of Joseph-Louis-Eugene Theroux and Eva-Almira Brousseau). Albert-Eugene was born in Massachusetts, of French-Canadian descent. Joseph-Louis-Eugene was the son of Pierre Theroux and Marie Catherine Eugenie L’Oiseau-Cardin. Eva-Almira was the daughter of François-Xavier Brousseau and Delphine/Delphina Picard/Pecor. Justin’s paternal grandmother was Annina/Anna/Anne Francesca/Frances Dittami (the daughter of Alessandro/Alexander Louis Dittami and Angelina/Angela M. Calesa). Annina was born in New York, of Italian ancestry. Alexander was from Ferrara, Emilia-Romagna, Italy. Angelina was from Piacenza, also in Emilia-Romagna, and was the daughter of Francesco Bonifacio Calesa and Ermengilda Buongioni. Justin’s maternal grandfather is John de Lafayette Grissim (the son of John de Lafayette Grissim and Irene Baker). Justin’s grandfather John was born in California. Justin’s great-grandfather John was the son of John DeLafayette Grissim and Hannah Annette Ransdale Moore. Irene was the daughter of George Washington Baker and Mary Agnes Hall. Justin’s maternal grandmother is Phyllis Hollins (the daughter of Gerald Vanderbilt Hollins and Virginia Kobbé). Phyllis was born in New York. Gerald was the son of Harry Bowly/Bowley Hollins, a financier, and of Evelina Merseole Knapp. Virginia was the daughter of Gustav Kobbé, a music critic and author, and of Carolyn Wheeler. Gustav’s father was a German immigrant, and one of Gustav’s maternal great-grandfathers, Gabriel Sistare, was a Spanish immigrant, thus making Justin Theroux of 1/32 German and 1/128th Spanish descent (through those lines). is this guy actually famous ? Annina Francesca “Anne” Dittami was the daughter of Alexander and Angela (Calesa) Dittami. Alexander was from Ferrara. Angela from Piacenza, both in Emilia-Romagna, Italy.